Amud Aish Memorial Museum (AAMM) is a living memorial to all the victims of the Holocaust. 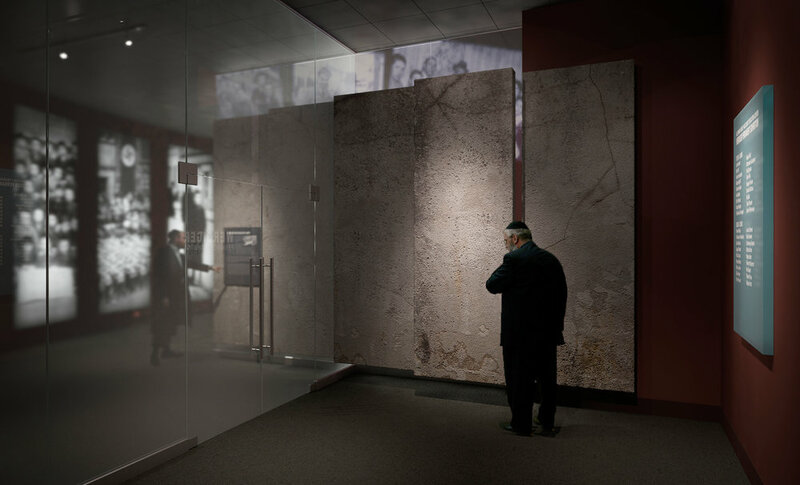 The museum’s mission is to present the victim experience, with special emphasis on the perspectives of observant Jewish communities. It is the only Holocaust museum to focus on the role of faith and identity within the broader context of the annihilation of European Jewry. Amud Aish Memorial Museum and its educational division, the Kleinman Holocaust Education Center (KHEC), have emerged as invaluable resources for educational programming, traveling exhibits, Orthodox specific wartime archives and new scholarship. The primary facility is in Brooklyn with future annexes in Lakewood, New Jersey, London, England and Jerusalem. International exhibitions and programs are currently under development throughout Europe. In 2015, the museum became one of six founding Pillars of the Auschwitz-Birkenau Foundation. Title * Rabbi Mr. Mrs. Ms. Dr.